McDonald Architects provided local architect input to implement the designs of Peter Marino Architect of New York. 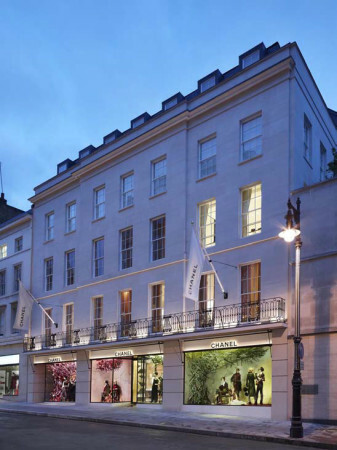 The project included a new Portland stone façade (the original façade can be seen on slide 2) and major structural alterations to the existing building. The boutique over four levels includes a new triple height stair void. McDonald Architects were also responsible for Chanel’s UK offices on the upper floors.